The Bradley Inn, with its charming character and unique location in Mid-coast Maine, offers multiple opportunities for memorable events.The inn can host a range of events, including weddings, experiential learning programs, reunions, small business related retreats, classes and more. Call us at 207-677-2105 to discuss your event! Midcoast Maine is a mecca for avid birders, with the end of May being the time when all the migratory birds are making their way back for the summer, especially shorebirds, which peak at the end of the month. Our location is perfect for early morning walks to the water or just strolling the grounds and neighborhood in search of sightings. In addition, the Alewives begin their journey up the local waterways from the ocean to their freshwater spawning grounds, attracting fish eating birds of prey. Plus, it’s fun to see the fish leaping out of the water working their way up the streams and fish ladders with the birds circling above. 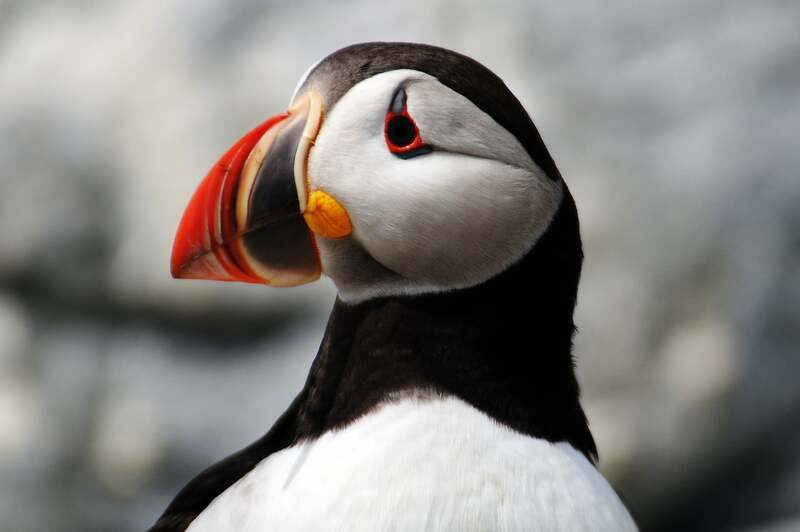 The Bradley Inn has put together a program for new and seasoned bird watchers by partnering with Maine Audubon, the Damariscotta River Association and Hardy Boat Cruises for a diverse program with guided walks, discussion and identification assistance. Click on the links below for detailed information on the program and lists of bird sightings for each of the program areas. Sarah Gladu Bio – Damariscotta River Asso. Book you trip now as reservations are limited! The Bradley Inn, with its 16 rooms, dining facility and large common area, makes for a great location for small corporate or other types of retreats. With nearby hiking and kayaking, team building exercises can be literally just that – exercise! And with our spa services and walks to the lighthouse, you can easily round out the day. Please call us at 207-677-2105 or email us at info@bradleyinn.com to schedule a call or meeting to discuss how we at The Bradley Inn can help you plan your group’s retreat. The Bradley Inn, with its 16 rooms, dining facility and large common area, makes for a great location for all types of groups – from classes to reunions to a girls’ weekend away. With nearby hiking and kayaking, onsite spa services, and walks to the lighthouse, you can easily round out the day. The location is perfect for photography with sunrises, sunsets and an iconic lighthouse. With little to no light pollution the night sky is full of stars, over an open ocean, and depending upon the timing the milky way as well can be clearly seen. We can schedule special dinners, wine and beer tastings, or other specific activities. Please call us at 207-677-2105 or email us at info@bradleyinn.com to schedule a call or meeting to discuss how we at The Bradley Inn can help you make your group’s getaway extra special!